Whether you need a real estate attorney in Nassau County, a medical malpractice attorney, a personal injury attorney on Long Island because of an accident, or have any other legal problem, Tomao and Marangas has an attorney available to guide you through all the required legal processes. At Tomao and Marangas we provide professional and personal services to all of our clients. Our mission is to impart support to individuals in their times of need. 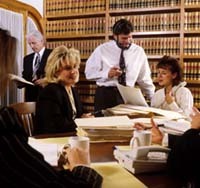 A strong attorney-client relationship is the first step to successs and favorable settlement. A relationship built on trust is a strong backbone to any legal case. Each of our cases is built around a client’s needs and desires. Trust us to deliver the trouble free real estate transactions results you want. Or to get you the settlement you deserve. Make an introductory appointment to meet with one of our attorneys, and learn more about what we can do for you. We look forward to representing you and your family. Contact us about a personal injury or accident.